In the United States, a secret federal surveillance court approves some of the government’s most enormous, opaque spying programs. It is near-impossible for the public to learn details about these programs, but, as it turns out, even the court has trouble, too. According to new opinions obtained by EFF last month, the Foreign Intelligence Surveillance Court (FISC) struggled to get full accounts of the government’s misuse of its spying powers for years. After learning about the misuse, the court also struggled to rein it in. In a trio of opinions, a judge on the FISC raised questions about unauthorized surveillance and potential misuse of a request he had previously granted. In those cases, the secrecy inherent in the proceedings and the government’s obfuscation of its activities made it difficult for the court to grasp the scope of the problems and to prevent them from happening again. The opinions were part of a larger, heavily redacted set—31 in total—released to EFF in late August as part of a Freedom of Information Act lawsuit we filed in 2016 seeking all significant FISC opinions. The government has released 73 FISC opinions to EFF in response to the suit, though it is continuing to completely withhold another six. We are fighting the government’s secrecy in court and hope to get the last opinions disclosed soon. You can read the newly released opinions here. To read the previous opinions released in the case, click here, here, and here. Although many of the newly released opinions appear to be decisions approving surveillance and searches of particular individuals, several raise questions about how well equipped FISC judges are to protect individuals’ statutory and constitutional rights when the government is less than candid with the court, underscoring EFF’s concerns with the FISC’s ability to safeguard individual privacy and free expression. An opinion written by then-FISC Judge Thomas F. Hogan shows that even the judges approving foreign intelligence surveillance on specific targets have difficulty understanding whether the NSA is complying with its orders, much less the Constitution. The opinion, the date of which is redacted, orders the deletion of materials the NSA collected without court authorization. The opinion recounts how after the court learned that the NSA had exceeded an earlier issued surveillance order—resulting in surveillance it was not authorized to conduct—the government argued that it had not actually engaged in unauthorized surveillance. Instead, the government argued that it had only violated “minimization procedures,” which are restrictions on the use of the material, not the collection of it. Judge Hogan, who served on the FISC from 2009-16 and was its chief judge from 2014-16, expressed frustration both with the government’s argument and with its lack of candor, as the court believed officials had previously acknowledged that the surveillance was unauthorized. The opinion then describes how the surveillance failed to comply with several provisions of the Foreign Intelligence Surveillance Act (FISA) in collecting the intelligence. Although the redactions make it difficult to know exactly which FISA provisions the government did not comply with, the statue requires the government to identify a specific target for surveillance and has to show some proof that the facilities being surveilled were used by a foreign power or the agent of one. Moreover, the government’s failures in this case are not isolated ones. The government has exhibited a chronic tendency to mis-describe the actual scope of NSA acquisitions in its submissions to this Court. These inaccuracies have previously contributed to unauthorized electronic surveillance and other forms of statutory and constitutional deficiency. 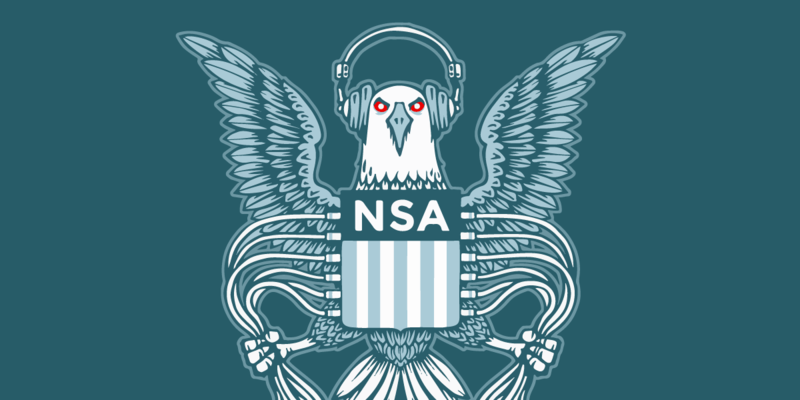 In another order, Judge Hogan required the government to answer a series of questions after it appeared that the NSA’s surveillance activities went beyond what the court authorized. The order shows that, though the FISC approved years-long surveillance, government officials knowingly collected information about individuals that the court never approved. It is troubling that, for many years, NSA failed to disclose the actual scope of its surveillance, with the result that it lacked authorization for some of the surveillance that it conducted. It is at least troubling that, once the NSA and the Department of Justice had finally recognized that unauthorized surveillance was being conducted, they failed to take prompt measures to discontinue the surveillance, or even to obtain prospective authorization for the already-ongoing collection. As a result, the court ordered the government to respond to several questions: How and why was the surveillance allowed to continue after officials realized it was likely unauthorized? What steps were being taken to prevent something like it from happening again? What steps were officials taking to identify the information the government obtained through the unauthorized surveillance? In another order with its date redacted, Judge Hogan describes a case in which the FBI used some ambiguous language in an earlier order to conduct surveillance that the court did not authorize. Although the specifics of the incident are unclear, it appears as though the FISC had previously authorized surveillance of a particular target and identified certain communications providers—such as those that provide email, phone, or messaging services—in the order that would be surveilled. The FBI later informed the court that it had engaged in “roving electronic surveillance” and targeted other communications providers. The court was concerned that the roving surveillance “may have exceeded the scope of the authorization reflected” in the earlier order. Typically, FISA requires that the government identify the “facilities or places” used by a target that it will surveil. However, the law contains a provision that allows the government to engage in “roving electronic surveillance,” which is when the court allows the government to direct surveillance at unspecified communications providers or others that may help follow a target who switches services. To get an order granting it authority to engage in roving electronic surveillance, the government has to show with specific facts that the surveillance target’s actions may thwart its ability to identify the service or facility the target uses to communicate. For example, the target may frequently change phone numbers or email accounts, making it difficult for the government to identify a specific communications provider. The problem in this particular case, according to the court, was that the FBI didn’t seek authority to engage in roving electronic surveillance. “The Court does not doubt that it could have authorized” roving electronic surveillance, it wrote. “But the government made no similar request in the above-captioned docket.” Moreover, the government never provided facts that established the target may thwart their ability to identify the service provider. One opinion explains the FISC’s reasoning for authorizing an order to install a pen register/trap and trace device—which allows for the collection of communications’ metadata—and allow the government to acquire business records. The court cites the Supreme Court’s 1978 decision in Smith v. Maryland to rule that the surveillance at issue does not violate the Fourth Amendment. Another opinion concerns an issue that other, previously disclosed FISC opinions have also wrestled with: the government’s aggressive interpretation of FISA and similar laws that authorize phone call metadata collection that can sometimes also capture the content of communications. The government asked to be able to record the contents of the communications it captured, though it said it would not use those contents in its investigations unless there was an emergency. The court ordered the government to submit a report explaining how it was ensuring that it did not make use of any contents of communications it had recorded. Several other opinions, including this one, authorize electronic surveillance of specific targets along with approving physical searches of property. Obtaining these FISC opinions is extraordinarily important, both for government transparency and for understanding how the nation’s intelligence agencies have gone beyond what even the secret surveillance court has authorized. Having successfully pried the majority of these opinions away from the government’s multi-layered regime of secrecy, we are all the more hopeful to receive the rest. You can review the full set of documents here.